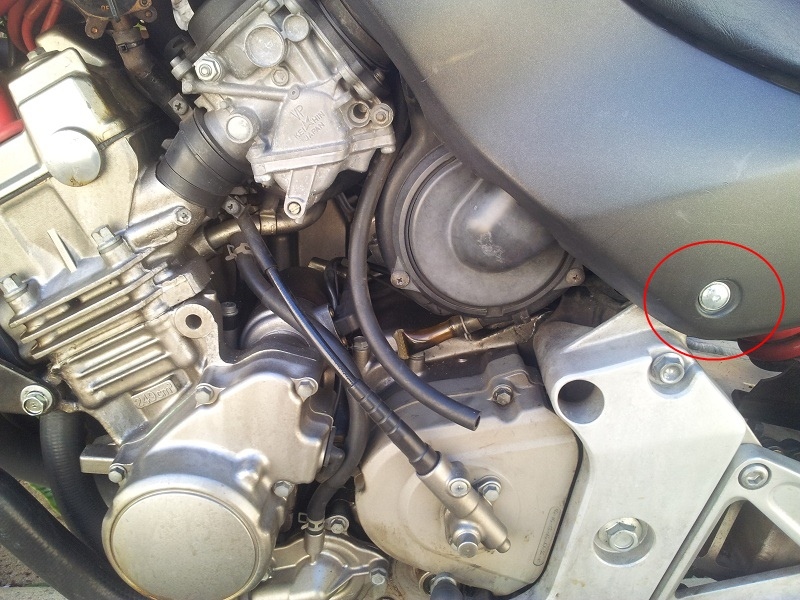 hondahornet.co.uk • View topic - Replacement Side Cover Bolts? Post subject: Replacement Side Cover Bolts? Can anyone tell me what size bolts I need to get? Picture below will show you what bolts I'm talking about. Mine are rusted and they're not listed in the part manual. Post subject: Re: Replacement Side Cover Bolts? allen key size 7 ? !